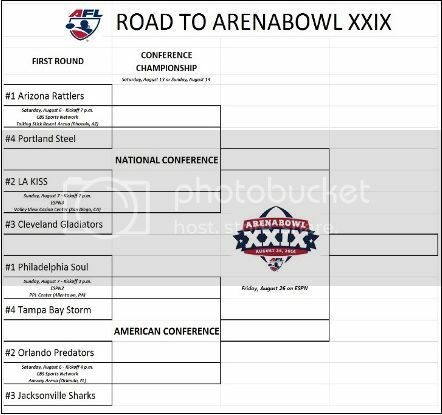 We're less than a week away from the start of the 2016 Arena Football League Playoffs. Here is your AFL Playoff Bracket. Click below for the larger version.